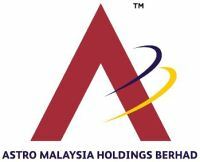 Astro Malaysia Holdings Berhad, a pay-TV firm controlled by tycoon Ananda Krishnan is scheduled to be listed in Main Market of Bursa Malaysia on the 19th October 2012. The Initial Public Offering (IPO) consists of 1.52 billion shares at an indicative IPO price of RM3.00 per share. Out of these, 597.69 million shares will be offered to Bumiputra investors, 661.75 million shares to other institutional and selected investors, while 259.865 million shares will be offered to retail investors. The institutional price will be determined by way of book building while for the retail application, it is payable at RM3.00 upon application. If the final retail price is lower, the difference will be refunded accordingly. The proceed from the IPO will be used for repayment of bank borrowing, capital expenditure, working capital and listing expenses. The IPO has secured 22 cornerstones investors. Among them are tycoon Chua Ma Yu, Kencana Capital Libra Investment Sdn Bhd, Great Eastern Life Assurance, Myriad Opportunities Masterfund, Nomura Asset Management, Antell Holdings Ltd, hedge-fund Azentus Global Opportunities Masterfund Ltd, Caprice Capital International Ltd, Cornstone Smith Asset Management, Gordel Capital, five units of Ochis-Ziff, TPG-Axon International, TPG Axon Partners and pension fund Universities Superannuation Scheme. Malaysian state-owned fund management firm Permodalan Nasional Bhd is the largest cornerstone investors. The lock-up period for the cornerstone investors is three months. Astro intends to pay 75 percent of profit after tax as a dividend. Based on At an IPO price of RM3.00 and 2012 figures, the dividend yield is 3% or 9 sen per share. The table below is the financial summary of Astro. ** AnnualizedThe IPO was handles by CIMB Group Holdings Bhd, Malayan Banking Bhd and RHB Capital Bhd. Several foreign banks are also advisers, including UBS AG, Credit Suisse Group AG, Goldman Sachs Group Inc and JPMorgan Chase & Co.
For those who are interested in Astro IPO, you may subscribe at ATM machines or via Internet Banking. The retail subscription period is opened until 1st October 2012 at 5pm. Tentative balloting date is on 4th October while the allotment date is on 17th October 2012. Astro stock name in Bursa Malaysia is “ASTRO”. View Astro prospectus in Bursa Malaysia webpage. What do you think about Astro IPO? Are you going to subscribe? 1-million-dollar-blog, are you going to subscribe ? I’m still not decided. How about you? Properly will go for it, since every Malaysian know who is Astro and they doing very well now. And almost 30% share will fall in to Bumiputra, properly they wont sell it. So its may a hot share too. What is Astro Malaysia Holdings Berhad’s fair value as rated by the many research houses? Hope the Final Institutional Price will be near the lower range of RM2.70 so that upon listing, there will be a decent premium for this IPO to be “successful”. TKH, I will post it this blog when the information become available. I am not comfortable with high PE ratio (more than 20x) and weak performance of first 4 months in this year. If the weak first quarter performance continue, dividend yield will be about 2.3 % only. Not looking good. With such Price Earnings Ratio and Dividend Yield based on indicative price of RM3.00 , the Final Institutional Price has to be near the lower range of RM2.70 for this IPO to be considered successful. If not, this may be the first time that Ananda Krishnan’s counter go below the offer price. Even at RM2.70, the dividend yield & PER is only marginally improved. I’m new to the Malaysian market. Having said that it looks like a good buy to me even at 3.00. Obviously 2.7 is better. I get the 20x pe but I think their fundamentals are good and their business model is good and most of all their service is grand. I’m an avid sports fan and boy I’m glad I wasn’t in the US during the Olympics; their coverage sucked. P.S. I’ll keep watching this space for any updates. I do love to learn and I look forward to the continued analysis as we count down the days to the Astro IPO. Welcome to the Malaysian (market). If you are successful, they will allocate 3,000 shares to you. You may get the forms from any Astro Customer Service Centre. Do you all think that Astro IPO will trade above RM3.00 during the first day of listing? I am still thinking whether to IPO for it for a quick profit. The institutional offer of Astro Malaysia Holdings Bhd’s US$1.5bil (RM4.5bil) initial share sale has been oversubscribed by more than 20 times. The institutional offering of up to 315.75 million shares, or 20.8% of the total offering, had been mostly subscribed at the higher end of an indicative price range of RM2.70RM3.00 per share. Yes I believe it too. With the high demand by the institutional investors, I think it should performing well upon listing. However, I decide not to apply this time as my fund still with IGB REIT. has the balloting result out yet? You can check the basis of balloting at http://www.mih.com.my under “Press Release”.